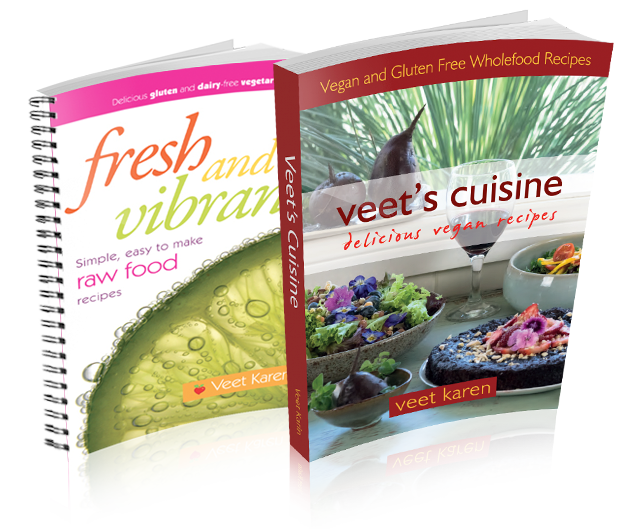 Veet began her business on the 19th of May 2008 with supplying home cooked meals to people in the Byron Bay Shire. This service still continues and customers pick up freshly prepared or frozen meals from Veet’s home. The meals have to be ordered via Veet herself through email only. The best way to find out pick up details is to sign up to the mailing list. Meals are all organic and are packed in returnable glass containers helping reduce the impact on the environment. Gluten free vegan cakes are available on request. After a weekend of often eating things we shouldn’t and maybe having too much food and wine, Veet’s food on Monday is not only very welcome but essential I feel. Veet’s meals are delicious and healthy, great value, and with that extra touch of love that makes her food stand out. Always enjoy your meals, so interesting and with a great variety of ingredients. Love the clean , fresh recipes. They all freeze so well allowing me to always have healthy provisions on hand.